Hi Marina, thanks for visiting my blog and following too. Your cat is the double of mine, she is called Leyla, what yours called? Just looking at this cat makes me relaxed! Very true! I like your cat! My 2 black cats are relaxing as I type, but then that's about what they do all day. I am in love with that cat. I used to have one who looks so similar his name wah Huey. I'm a relaxing. You are SO right! I'm embarrassed to say that we haven't taken a complete day off in nearly 3 years. I'm very overdue. 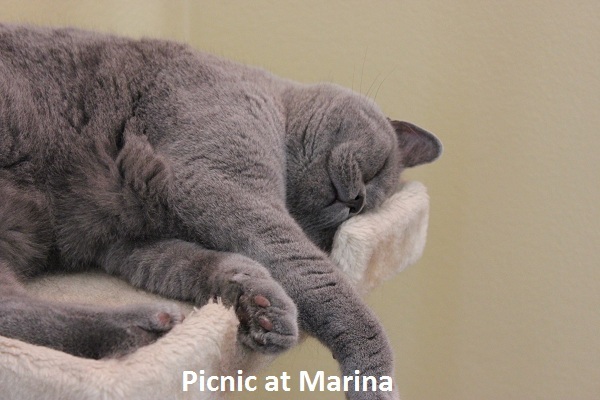 Good advice Marina :) Have a great weekend!